"The health of the community begins right here on your plate. connected to the people who produce it." We warmly invite everyone - farmers, business owners, activists, restauranteurs, community gardeners, educators, processors, entrepreneurs and community organizations - interested in building a sustainable local food system to attend. Our goal is to bring together local communities for a day of education and fun all revolving around the goodness of local food. 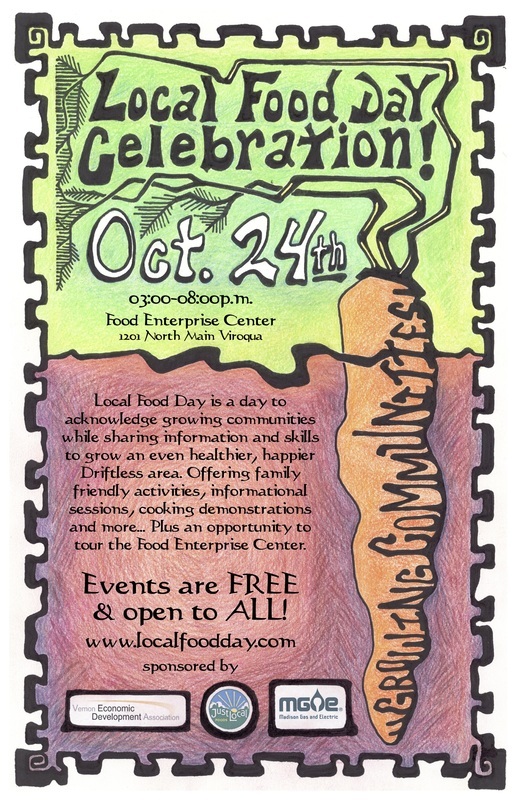 Local Food Day is a celebration of local food and community. Email us for more information about the series of events including informational sessions, panel discussions, film screening/discussion, food demonstrations, a social mixer and more! Booths and events of many varieties are planned: a kids zone, farmers market, live music and local food vendors, to name a few. This event is being held in a warehouse. Please wear comfortable shoes, as it is a concrete floor and can be slippery. Also, as the sun sets, things may begin to cool off - please consider wearing layers. We'll have plenty of good food and beverages to warm you up!